This year the Loughborough NGS Open Gardens are taking a step into new territory and opening as part of a larger community led event called ‘Grow Loughborough’. 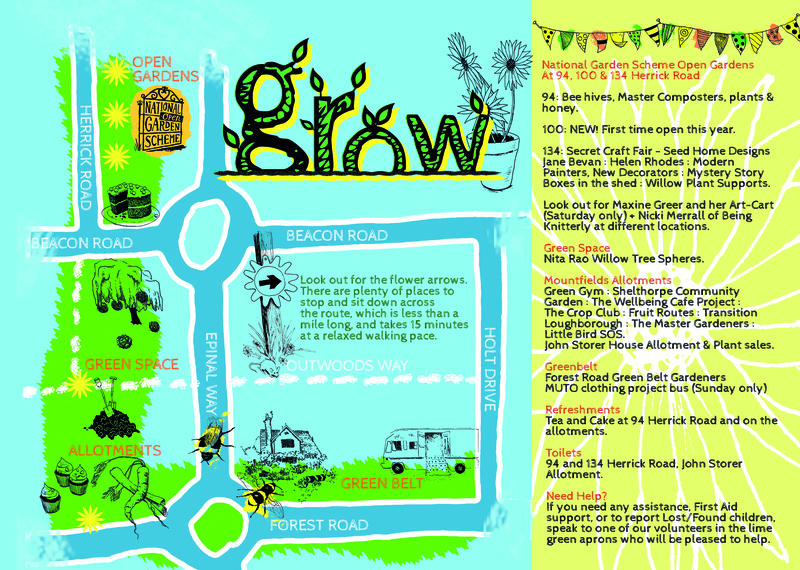 Grow, a weekend of gardens, growing, wellbeing and creativity, is a trail across three open gardens, nearby local allotments and two green spaces, showcasing local projects with a social ethos that promote the connections between creativity, gardening and wellbeing. There’s lots for all ages to see and do, plus plant and honey sales, and refreshments across the trail.